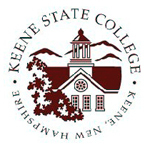 Prior to the formation of Stevens Strategy, John Stevens, as a senior member of another firm, provided system selection and implementation process design and facilitation for Keene State College. Having engaged John Stevens in the selection and implementation process for a new student information system, his breadth of experience in higher education and his ability to develop and foster a good process led to a successful decision for Keene State College. Decisions of that magnitude are judged over time, and this one, several years old now, is deemed an organizational success.